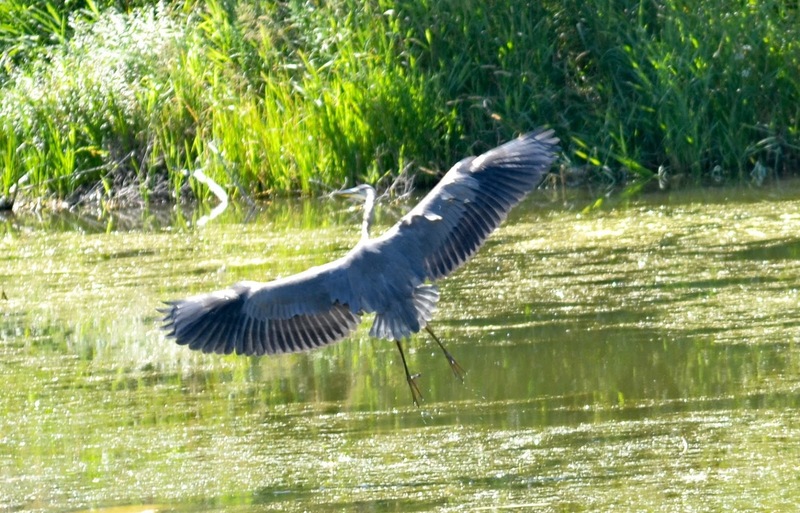 Wildlife similar to this Great Blue Heron inhabit "Technoparc." Imagine a wetland area that is home to over 80 nesting species including herons, raptors, songbirds and ducks. Then imagine it in the middle of a Technoparc on the Island of Montreal, a few miles west of downtown and just east of the Trudeau Airport. Story here.